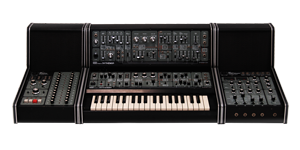 The Roland System 100 is an iconic and classic semi-modular synthesizer released in 1975. It's made up of five components which were all sold separately. The full set fits together to make a beautiful instrument. They definitely don't make them like this anymore. 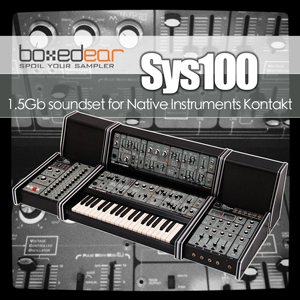 Sys100 is a Kontakt library made entirely with this incredible synthesizer. It is a wonderfully vintage sounding sample pack which oozes the character of the original instrument. We've taken particular care to sample this instrument in a way that means you can play sounds polyphonically, which means you can hear and play System 100 in a way that was never before possible. The pack contains basses, leads, pads, electric pianos, drums and a lot of wild effects. 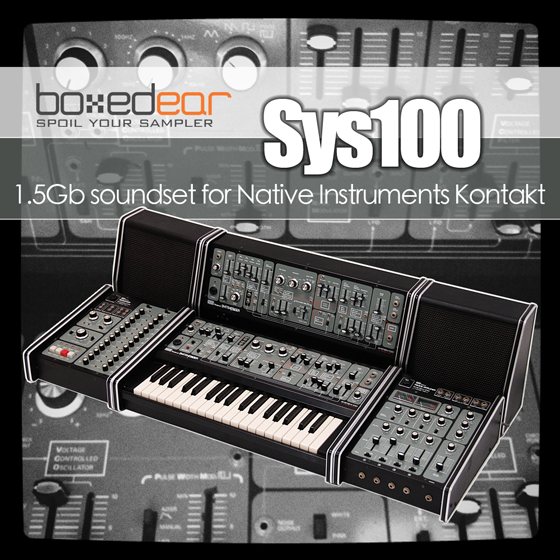 Believe us when we tell you that this pack sounds every bit as good as the System 100 looks. Whether you're playing prog rock synth solos or minimal techno, this synth is going to impress. System 100 images used with permission from rockheim. Download size is 1.4Gb from fast servers. Detailed instructions on installing are included in the download package. Every instrument is multi-sampled, with up to 16 velocity layers and where appropriate "round robin", to capture as much of the instrument as possible. Our products are digitally delivered via email immediately after purchase. No waiting!